Spore inoculum quality in filamentous bioprocesses is a critical parameter influencing pellet morphology and, consequently, process performance. It is essential to determine the concentration of viable spores before inoculation, to implement quality control and decrease batch-to-batch variability. The ability to assess the spore physiologic status with close-to-real time resolution would offer interesting perspectives enhanced process analytical technology (PAT) and quality by design (QbD) strategies. Up to now, the parameters contributing to spore inoculum quality are not clearly defined. The state-of-the-art method to investigate this variable is colony-forming unit (CFU) determination, which assesses the number of growing spores. This procedure is tedious, associated with significant inherent bias, and not applicable in real time. Here, a novel method is presented, based on the combination of viability staining (propidium iodide and fluorescein diacetate) and large-particle flow cytometry. It is compatible with the complex medium background often observed in filamentous bioprocesses and allows for a classification of the spores into different subpopulations. Next to viable spores with intact growth potential, dormant or inactive as well as physiologically compromised cells are accurately determined. Hence, a more holistic few on spore inoculum quality and early-phase biomass composition is provided, offering enhanced information content. 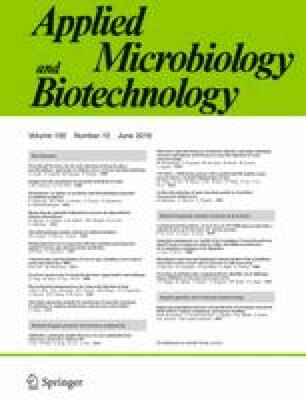 In an industrially relevant model bioprocess, good correlation to CFU counts was found. Morphological parameters (e.g. spore swelling) that are not accessible via standard monitoring tools were followed over the initial process phase with close temporal resolution. The online version of this article (doi: 10.1007/s00253-016-7319-9) contains supplementary material, which is available to authorized users. This study was funded by the Christian Doppler Gesellschaft (grant number 171).